Kitchen sink usually gives you the most problems than other sinks because of the high level of usage and high frequency of waste materials (i.e. pieces of food and other debris) washed into the sink. Let us look at some common problems of kitchen sink which you would typically face. Slow or clogged drain pipe (sometimes known as choked drain pipe) is the most common problem of the kitchen sink. To overcome this problem, a plumber would usually use air pressure device or an electric coil snake to clear the clogged. The electric coil snake is very effective and you can watch how it works from the video below. Most kitchen sink in Singapore is made from stainless steel. 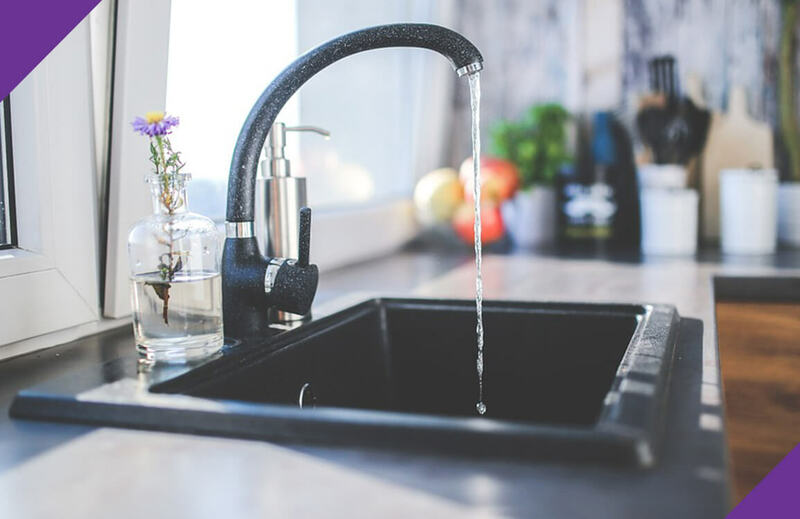 If there is leaking or dripping water from the tap, the noise of dripping water hitting the stainless steel sink may keep you awake for the night. In addition, the drops of water can add up to a few gallons of water a day. What should you do if you face this situation? Check whether you have a water supply valve under your sink (i.e. along the water pipe leading to your tap). If yes, turn it off and the supply of tap water to your tap will be cut off. If you do not have a water supply valve under your sink or tap, you will have to turn off your main water supply. Then, call the plumber or handyman immediately to fix the tap. If you are renovating your home, it is important to inform the contractor or the plumber to install a water valve for every tap. With the valve, you do not have to turn off the main water supply to stop the water from flowing to a particular tap; you just need to turn off the water valve for that particular tap. With water valve installed for each tap, you can have controlled the water flow or pressure from both the main water supply and at the water valve. In this way, your water flow for each tap can vary and you need not have a uniform water flow or pressure for all taps. As plenty of washing is performed at the kitchen sink, the water from its tap should flow faster so that you can wash your dishes more effectively. If the water valve is installed for all the taps, the water valve can control the water flow of the tap at kitchen sink independently from the other taps. That means the water flow for other taps can be turned to “low” while the water flow for the kitchen tap can be turned to “high”. What should you do if you face a leaking u-joint under your kitchen sink? Quickly dry the joint and use a leak seal tape to temporarily stop the leaking. Then place a pail under the joint just in case the leak continues. Thereafter, call a plumber or handyman to fix it as the leak seal tape may not hold the leak for long. The fact that the kitchen sink is the most frequently used sink, it is likely to be replaced first than any other sinks in your apartment. When you replace your kitchen sink, you should measure the wide and depth of the sink and try and buy the sink with the same dimension. If you buy a wider sink, you will have to cut the kitchen top to fit it in. This means additional cost on alteration of kitchen top. If you buy a kitchen sink with deeper basin, make sure you have sufficient space for the U-Joint and drain pipe. There are more details to observe when replacing the kitchen sink and it is advisable to hire a handyman or a renovation contractor to perform the task. The plumber from Joydom Engineering is able to advise and overcome the above problems you face. Just pick up your phone and dial (+65) 81632621 or email us at enquiry@joydom.com.sg and we shall attend to you as soon as possible. We can also help you with other kitchen and household repair and installation, electrical work, painting, door repair and installation and carpentry work.